He keeps getting better with age as the CD features plenty of catchy hooks plus some really pretty guitar and piano playing. 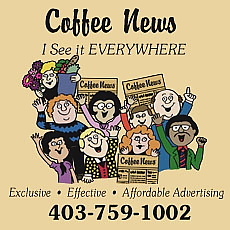 Lyrically the CD explores a variety of real world topics, not to mention a few different musical styles. The fantastic sounding CD is full of bright sounding roots rock throughout. The lyrics are real, earnest but tinged with darkness. The CD begins with the hook filled “Something Beautiful. Three perfect chords played together. “ Happy Too” is a highlight because of the melody and chiming electric 12 string guitar. One of my favourite tracks is “Living In America” which has some of the most vivid and impassioned lyrics about homelessness and some really beautiful violin playing. He picks up the tempo from more pop influenced roots rock to touch on his inner punk rocker on a couple of uptempo tracks like the Dylanesque country foot stomper “New Music Biz Blues” about life in the music business which in addition to the Bob Dylan influence also is reminiscent of Corb Lund. The other dark rocker is“ Poison the Well” a swamp blues number reminding me a little of Todd Snider. It also has a beautifully overdriven, ’60s ish guitar solo. “Ten Long Years” is another mellow number winding down the CD with some moving fiddle playing. The CD ends with another slower more introspective number “ Angry Young Man,” as Stagger reflects on his past. Lethbridge roots/ country singer songwriter Karen Romanchuk takes a more upbeat and almost bluesy journey on her EP “Down The Line.” featuring six solid new songs. She has her full band playing on the CD, which she recorded in Leeroy Stagger’s Rebeltone Ranch. She has an excellent band behind her including Jason Eveleigh, who plays some sweet guitar solos. As always Romanchuk’s voice has a straight forward an honest, gritty Lucinda Williams style timbre to it with just a touch of weather worn anger. It has an addictive groove to it and some country bluesish slide guitar. The band joins midway through the song and Eveleigh plays a beautiful outro guitar solo. 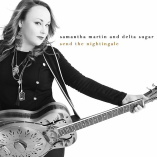 Toronto based songwriter Samantha Martin has really found her voice on her gospel inspired new CD “Send the Nightingale.” While she is usually known as an alt country and blues singer, this sparsely recorded Cd showcases her big , beautiful, bluesy voice but also shows a pretty heavy gospel side throughout. She’ll make the seediest sinner “ See The Light” right from the first track of the CD which draws you in. The two woman choir of Sherie Marshall and Stacie Tabb behind her add choral and southern style background gospel styled vocal harmonies and lots of oohs and ahhs which put you in the middle and the mindset of a hot, sweaty, Southern Baptist church deep in the heart of Mississippi. But first and foremost is Martin’s big, bluesey, whiskey soaked and cigarette stained voice reminiscent of Janis Joplin and Serena Ryder not to mention an amalgamation of female blues singers from the early days. While Martin holds down the rhythm on resonator and acoustic guitar, lead guitarist Mikey McCallum adds plenty of swampy blues guitar straight out Louisiana for most of the CD. Martin has a few tender ballads like “ Mississippi Sun” and “My Crown” and the beautiful ’60s style “When you Walk Away” which drip with heartfelt soul. Martin ends the CD with her backup singers on the gorgeous acappella song “Tell The Heavens.” The CD is raw and beautifully done. Martin’s voice is unforgettable.